China’s total land area grew by 1,158 square kilometers as the country’s border with neighboring Tajikistan was formally redrawn, Chinese media reported yesterday. As a result of the transfer, which took place on the far-western edge of China, Tajikistan’s total land area has decreased by 1%. A ceremony was held on September 20 at a newly installed border marker. 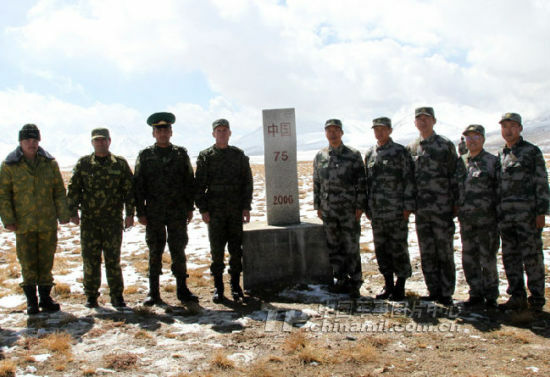 Representatives from the Tajik and Chinese militaries exchanged gifts, a Chinese military newspaper reported. The land transferred contains part of the Pamir mountain range, which crosses several Central Asian countries. The mountains were considered a strategic section of the silk route, as they allowed access to modern-day Afghanistan and Pakistan. China and Tajikistan agreed to the land transfer in January this year. The land handed to the Chinese covers only 5.5% of the land that Beijing originally sought, the Tajik foreign minister said. China is the biggest investor in the Tajik economy, particularly in the energy and infrastructure sectors, the BBC reported. Tajikistan is one of several Central Asian republics sharing a border with China. Last year, Kazhakstan rejected a proposal to lease a million hectares of land along its border to China for soybean farming. Several commentators on Chinese microblogging service Sina Weibo mentioned that the handover ceremony was held on October 1st, China’s National Day. “The timing must have been deliberate,” Hu Xijin, editor of China’s Global Times newspaper commented on his microblog. In fact, the ceremony was held 10 days previously, but does not seem to have been reported by Chinese media until yesterday.